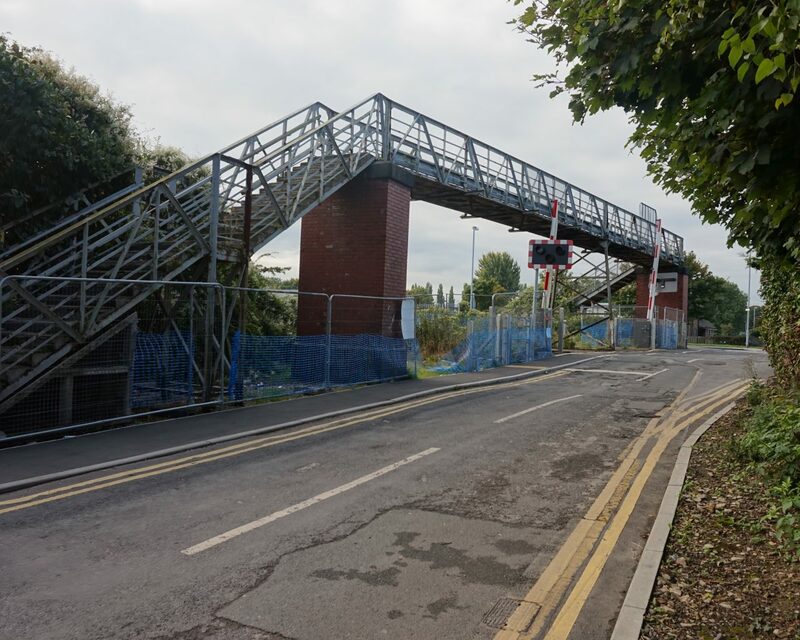 WAG1/45 England Lane Footbridge is a single span structure located close to the level crossing on England Lane in Knottingley. 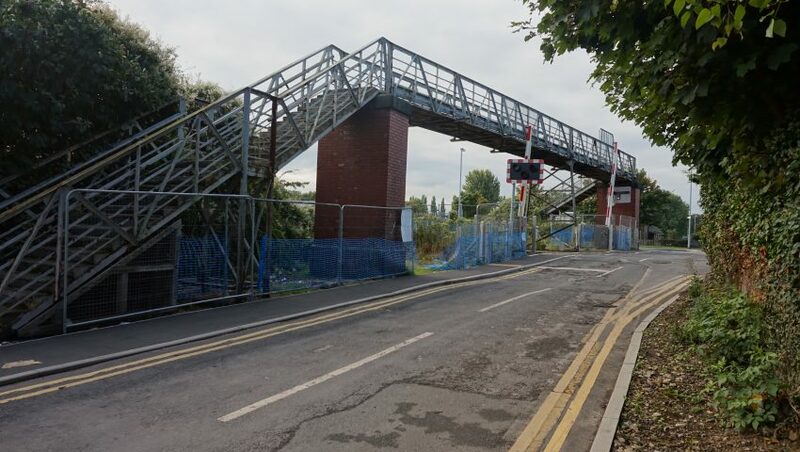 It crosses the Wakefield to Goole Railway line at mileage 59m 0110yds and facilitates a pedestrian route across the railway, principally when the footpath on the adjacent level crossing is closed to allow the passage of trains. 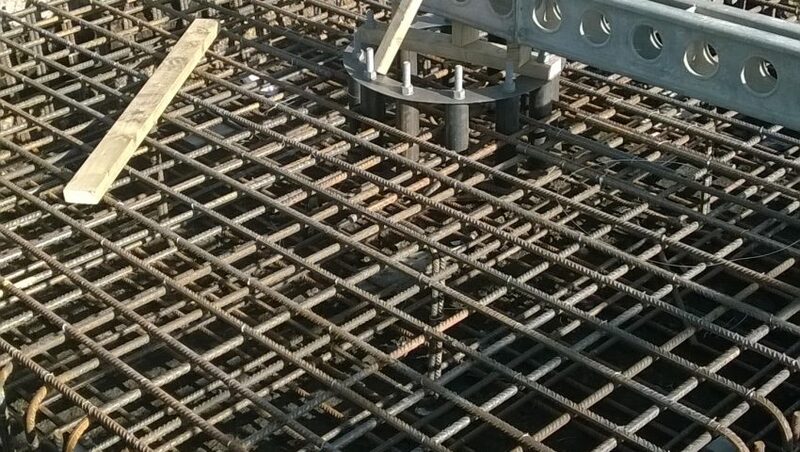 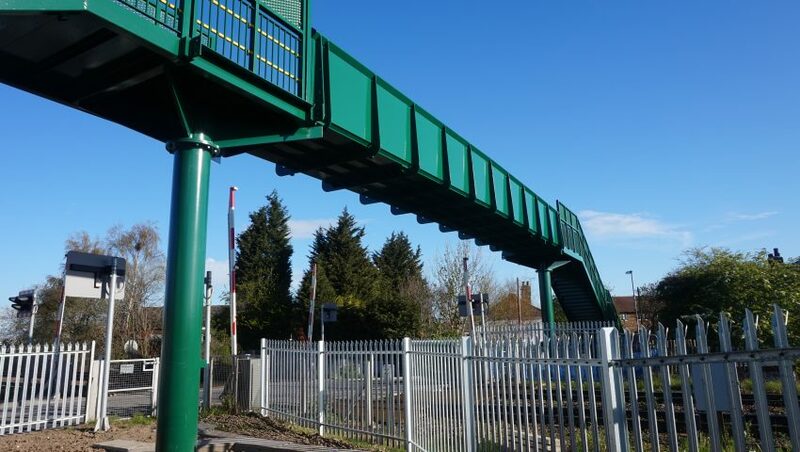 An assessment of the capacity of the footbridge determined that the footbridge was in poor condition, and that is was not capable of carrying the required load under current standards. 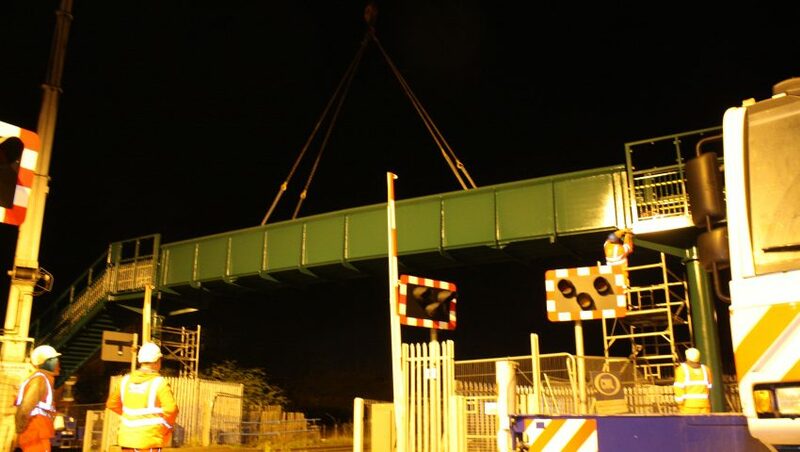 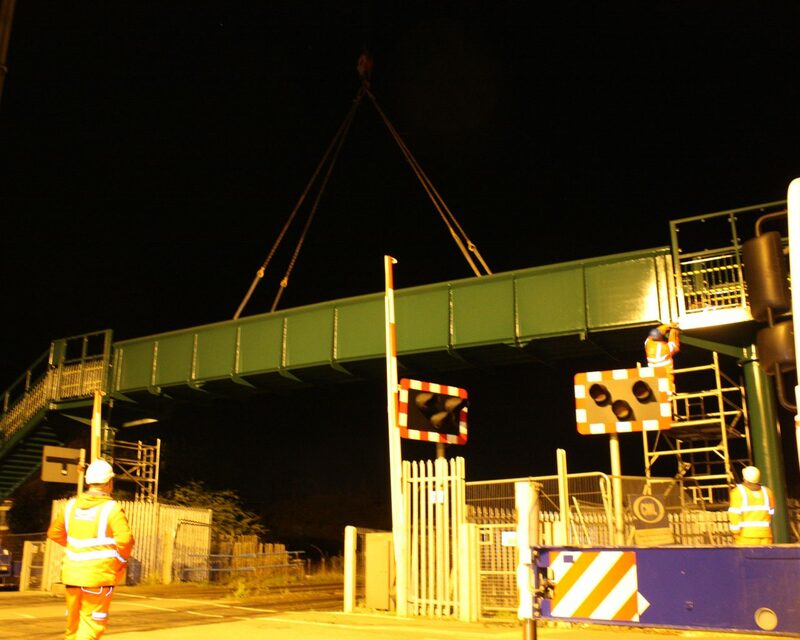 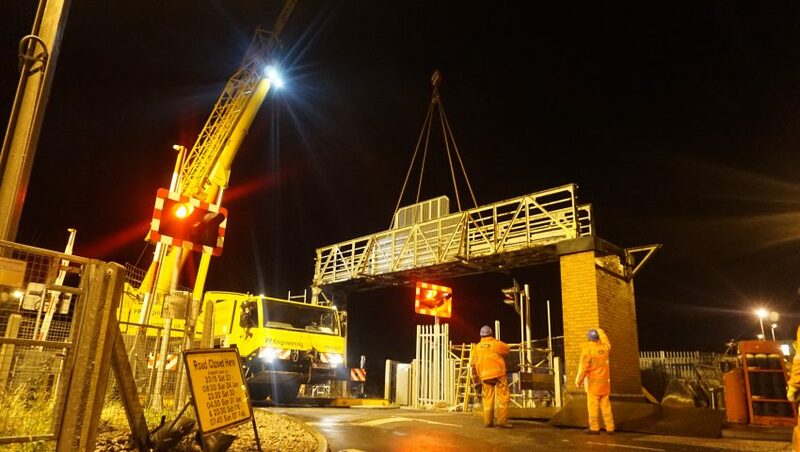 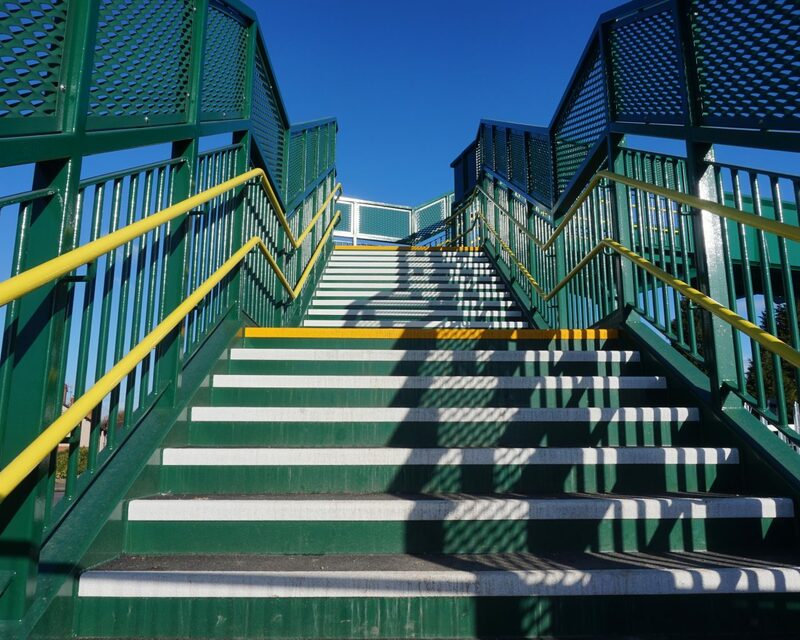 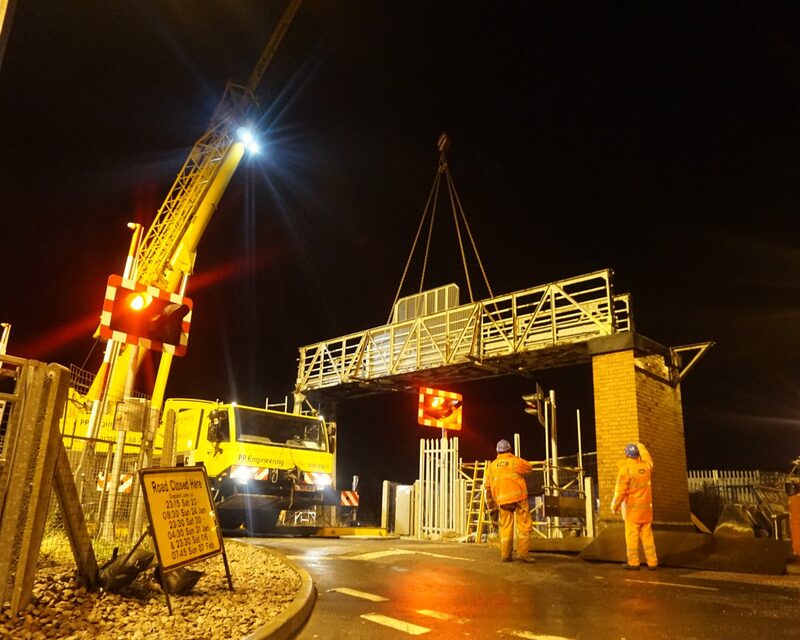 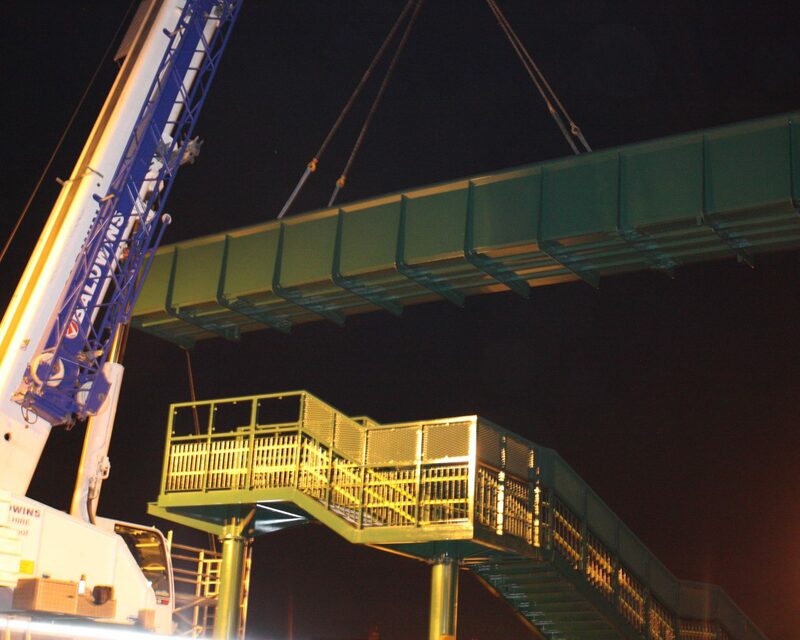 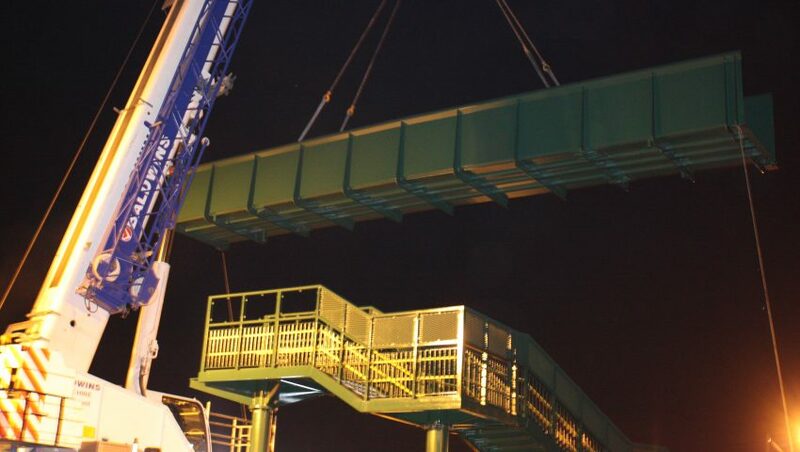 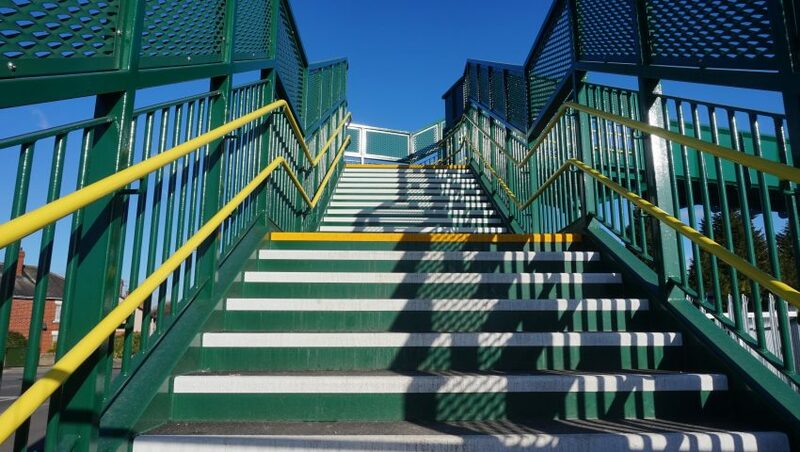 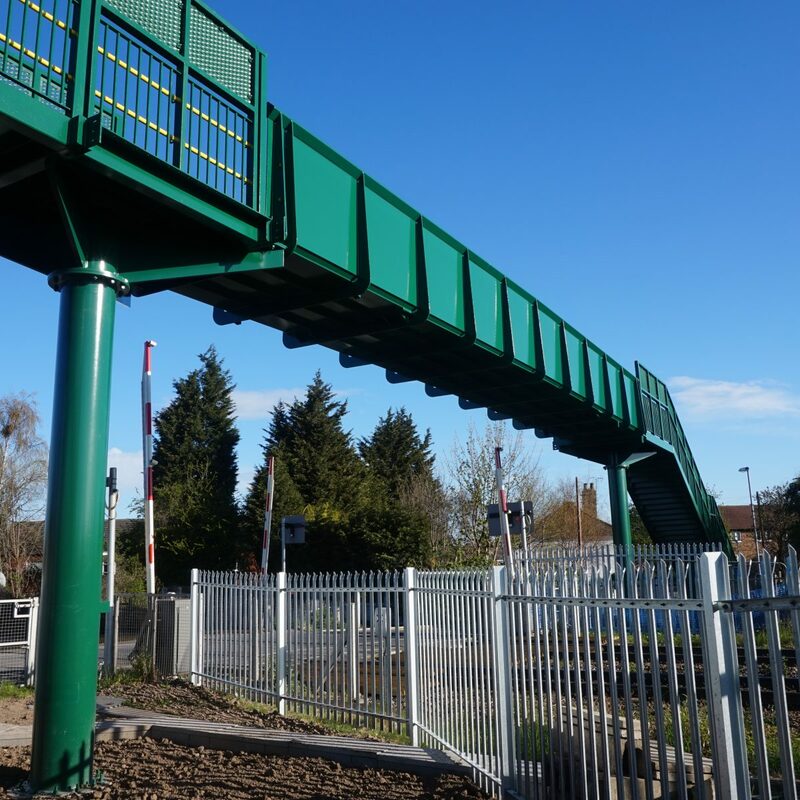 Significant and costly repairs would have been required to retain the existing structure, therefore it was decided that the best value option in terms of whole life cost would be to reconstruct the footbridge. 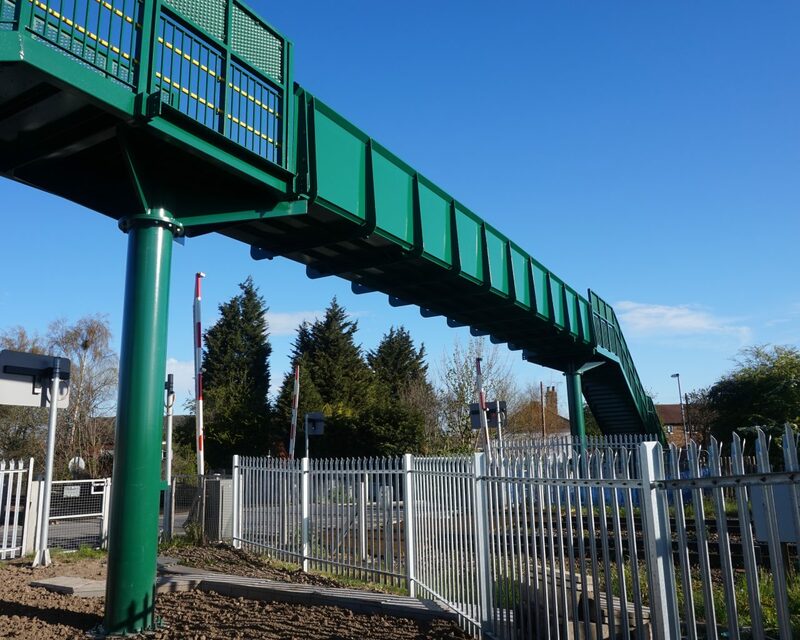 Located on almost the same line as the original bridge, the design follows a square crossing of the railway, and is designed with passive provision for ramps should they be required in the future. 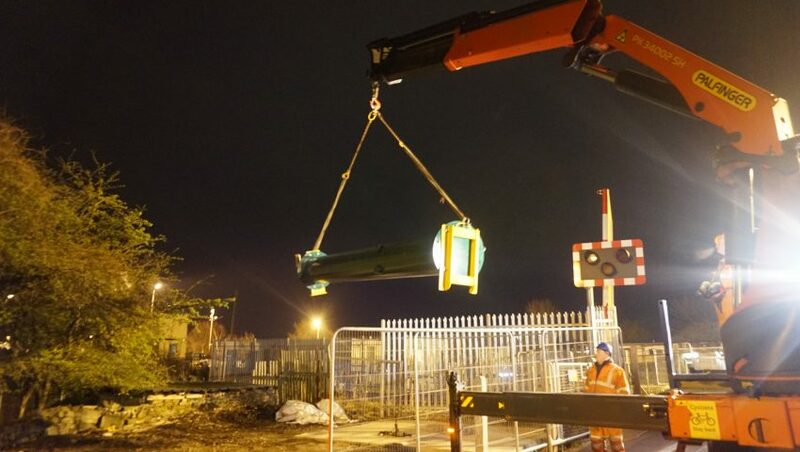 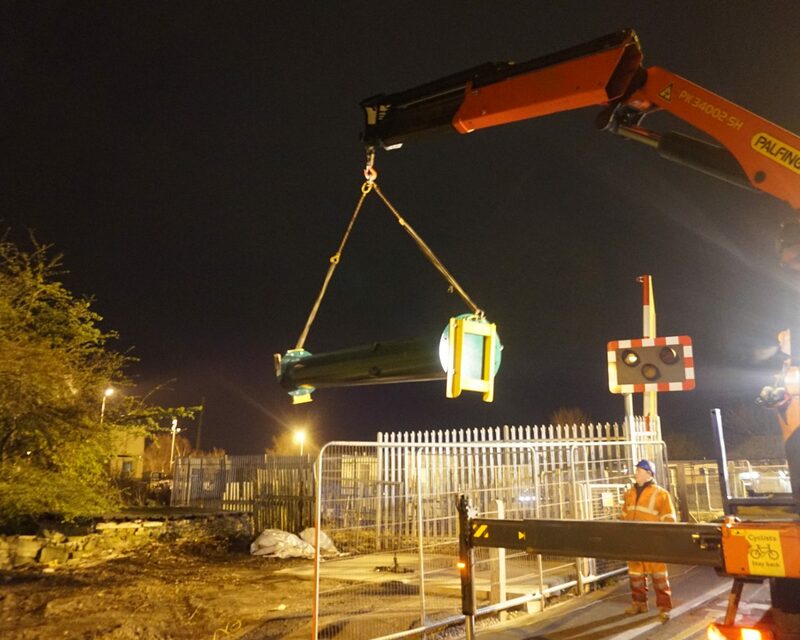 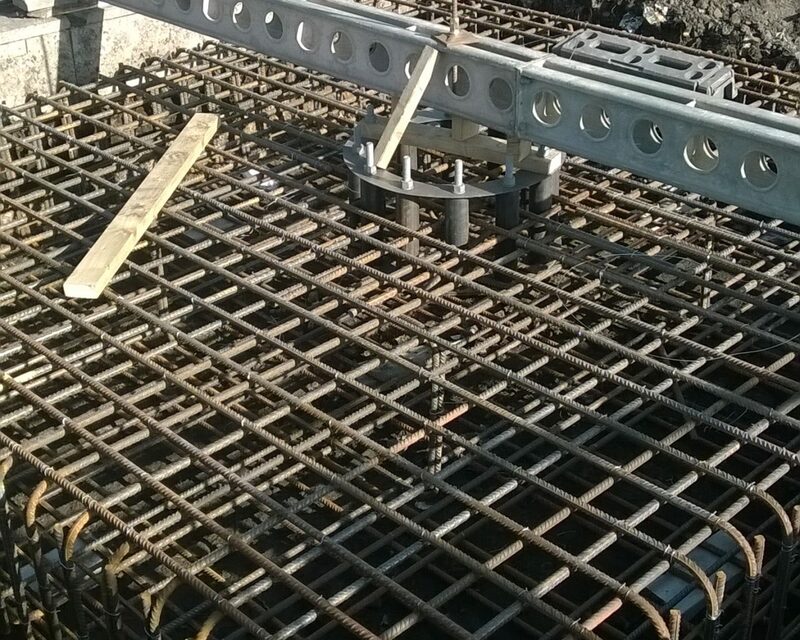 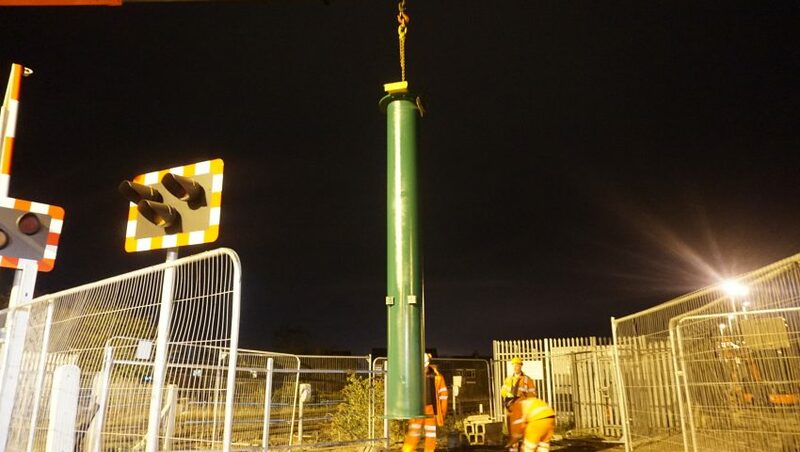 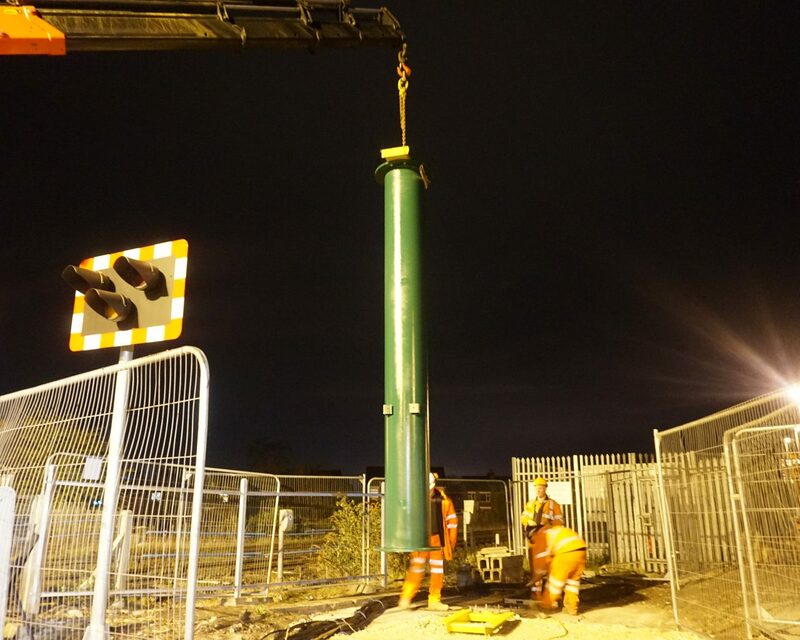 Challenges addressed during these works included interface with numerous railway signalling cables, working in a confined area adjacent to a highway and managing high pedestrian flows due to the proximity of a nearby school.